Work for QuickBooks Online Accountant? Learning about QuickBooks Online Accountant? Real-time books; easy for clients to allow me access to their books. Quick to load and doesn’t take up a bunch of space on my computer. Not as intuitive as QB Desktop. You have to right click reports to open them in a new window, unlike in Desktop where you keep clicking and opening reports which stay open until you intentionally close them. It would be better if clicking on a report opened it in a new window automatically. It allows clients to record entries from anywhere and it’s easy for them to share their books with me. I can make changes (with their permission, of course) without having to get an accountant’s copy of their QB file. I can see different clients’ books in one location. "Easy to use, but lots of required info"
i like that quickbooks online accountant actually does look at most of your expenses and allows you to set up a budget, track expenses and payments and setup schedules. I like that it is very user-friendly and easy to navigate for the most part. also, the colors are nice. It doesn't give me a headache because it's too busy or anything like that. What I don't like about quickbooks online accountant is that there are lots of fields that are required. What I mean is, that sometimes, I just want to quickly set up a budget for a specific thing or category, and it wouldn't let me unless I filled out a lengthy form with all these required fields. I just don't see the need for all that when I know what I'm doing. I wish more fields were optional if I know that I don't need that specific information. If you need a standard budget with the same kinds of transactions every month or week, then this is probably going to be great for you. If your expenses and payments change all the time, you may need to find something else to serve your needs. When I was using Quickbooks Online Accountant, it did help me keep my expenses in line mostly. I was able to keep track of all my expenses if they were entered into the system. I did not get to set the recurring expenses sometimes, in the way they come out. It can be frustrating. Money going out, goes out in unexpected ways and I didn't always have the time to sit down right away and get into the whole thing of putting everything in when it needed to go in the program. "Quick boots is the best "
I like quick books because I can keep track of all our spendings, our receipt can be scanned in, you can enter in each time you receive a check and when the job was completed. And it’s so easy to do yourself, you don’t have to pay anyone a bunch of money to do it for you and we love that. I don’t think there is anything to be disliked about quick books. Keeping track of receipts and spendings. Quick boots really help Keep organized. Using this software just make everything so easy. It takes the complication out of my day. It makes what I do quick and accurate. I really cant think of anything. Maybe that I wished my company had started using it sooner. I think this program would work for anyone in any kind of business. I can give the owner quick and accurate answers. It has help keep track of things that were being let slip through the cracks. "QBO for Accountants - lessen your work frustration." QBO Accountant's version offers multiple short cut steps and review options to help relieve the stress factor during crunch time. Issuing 1099s and W2s is clunky compared to QB desktop version, but once you get the hang of it, it moves along. This is a quick and consolidated way to view and access all of your QBO users. With QBO Accountant I am able to view all of my accounts without having to hop from individual screens. "easy to use and organized "
If i can change one thing, and I am not even sure if this is an option but if it is I cant find it. Sometimes One employee will create an invoice but someone else may make a change to it. I would love to know who made what change. I love that QuickBooks can integrate with other systems as well as send client communication with ease. Easy to use even for the most computer illiterate people. I don't like that client invoices don't itemize what the client is being charged for. My boss may be able to better answer this one because I don't get super in depth with the program. 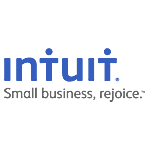 "A convenienr tool to organized client bookeeping"
Intuit Quickbook online accountant is one of the most convenient software I ever tried to organized clients data for bookeeping purposes. It is easy to use anf easy to communicate with. More options to summarize reports that are related to audit trails and option to undo actions. "Good Accounting Software for small to mid size company"
QB online is a one stop shop for online based accounting. There is back up and security that ensures it is safe and easy to use. If connection to the net goes off this may be out of use. There should be an offline verision if there isnt one. Well you can keep all your general ledger needs and also run financial reports, etc. The software is great at helping us manage our clients with subscription-based businesses with complex recurring revenue and deferred revenue issues. Managing multiple currencies has required some workarounds for tax implications. Able to access client's books at any time and from any location - no need to come into the office anymore. Some fetures i was not able to use. I wish i can lern more things from quickbooks. "Great Product to streamline accounting." That you can not do job costing in the online platform. "Frequent crash at the end of the month"
There is no other competitor product to choose from. When you try to print statements, it crashed. Especially in end of the month. Crash and never ending crash. "User friendly and easy to access"
Easy to navigate and simple for beginners. Nothing specifically as I was a beginner actually learning the system. "Used for several years, but started using H&R Block instead"
* We monitor all QuickBooks Online Accountant reviews to prevent fraudulent reviews and keep review quality high. We do not post reviews by company employees or direct competitors. Validated reviews require the user to submit a screenshot of the product containing their user ID, in order to verify a user is an actual user of the product. Hi there! Are you looking to implement a solution like QuickBooks Online Accountant?